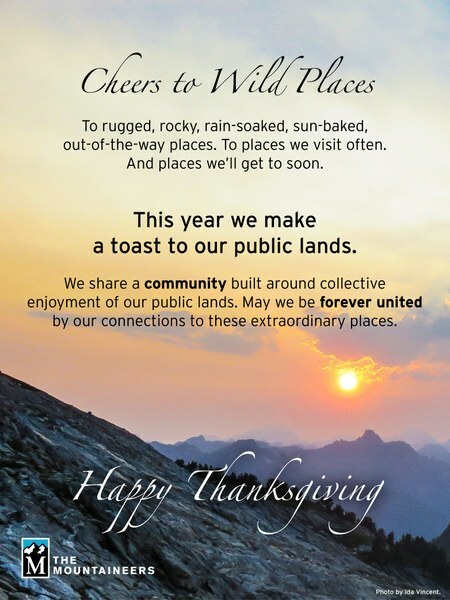 This year we give give a toast to our public lands. Happy Thanksgiving. Cheers to Wild Places. To rugged, rocky, rain-soaked, sun-baked, out-of-the-way places. To places we visit often. And places we’ll get to soon. This year we make a toast to our public lands. connections to these extraordinary places. 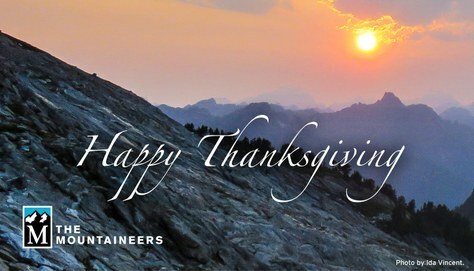 This Thanksgiving as always, take a moment to reflect on the places that bring us together to explore, share, and protect the great outdoors.